In this episode of Standing Up for South Carolina, we talk to attorney Malcolm M. Crosland. Malcolm Crosland grew up in Mount Pleasant, South Carolina, a few blocks from Charleston’s harbor. 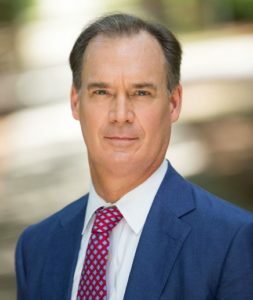 Born to a family of attorneys, he graduated from the University of South Carolina for both his under graduate degrees as well as the University’s School of Law. In 1986 and immediately joined the Steinberg Law Firm. Malcolm was drawn to the firm’s reputation for representing working people and protecting injured people and their families. He represents clients in both state and federal courts, the S.C Worker’s Compensation Commission and the U.S Department of Labor. He meets his clients to help them fight for their rights all throughout the lowcountry area. In addition to litigating for people injured by the negligence of others, Crosland represents working men and women before the SC Workers Compensation Commission and the U.S. Department of Labor. 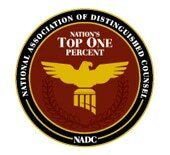 Malcolm is responsible for numerous published appellate decisions in both State and Federal courts. He has also served on a number of charitable boards and law-related committees, including the Brain Injury Association of South Carolina, Lowcountry Aids Servers and most recently, The Barrier Islands Free Medical Clinic.